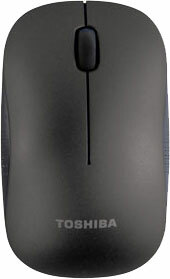 The Toshiba W55 Optical Wireless Mouse with Blue LED technology is a compact-sized mouse that is great for travelling. Never have to scramble for a makeshift mouse pad again. 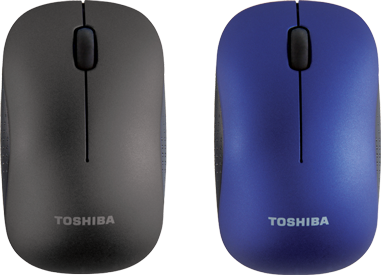 The W55 Wireless Optical Mouse comes with Blue LED Technology that offers improved tracking on more surfaces - even glass*! 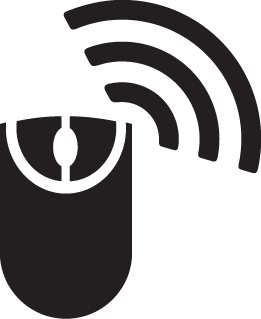 Adjust mouse sensitivity easily – simply press the left mouse button and scroll wheel simultaneously to toggle between 800, 1,200 and 1,600dpi. 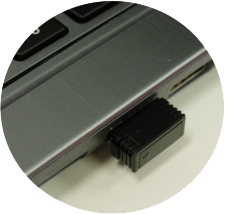 Enjoy smooth usage doubled with convenience, connectivity ranges up to 10m (33 ft). A compact mouse with matte finishing for a stylish look. Available in two colours, Matte Black and Matte Blue. So small, you won’t even notice it’s there!